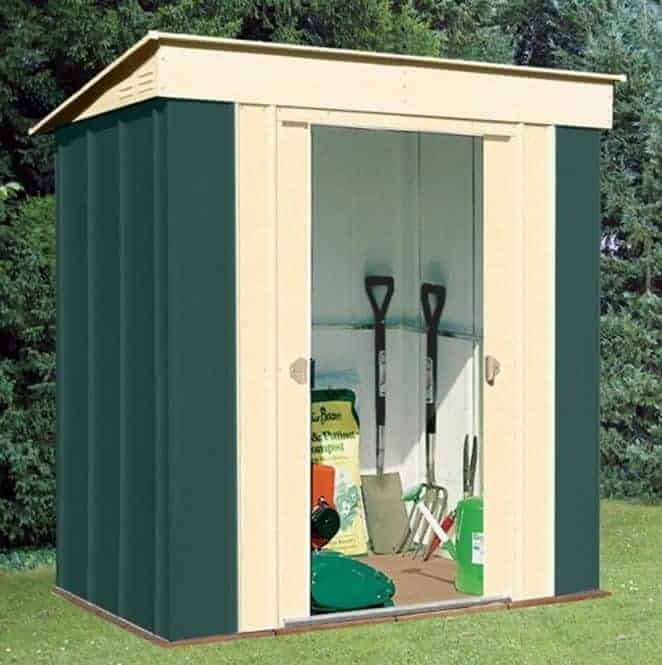 This pent metal shed allows you to store your garden equipment in a way that means it is protected against adverse weather. 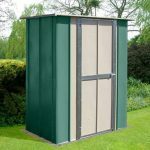 The shed has a number of features, but one of the most attractive is the 12 year guarantee against rust perforation. 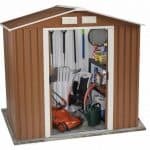 This brings you considerable peace of mind, and tells you that your contents will be safe throughout the year. 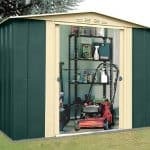 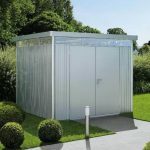 The metal construction ensures also that you have a shed that won’t suffer from any cracking or any warping. 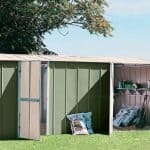 This again shows just how durable the shed will be over the years. 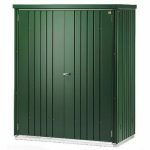 A practical unit that is very easy to use, and is durable.